Whether we choose to embrace it or not, Christmas is a magical time. 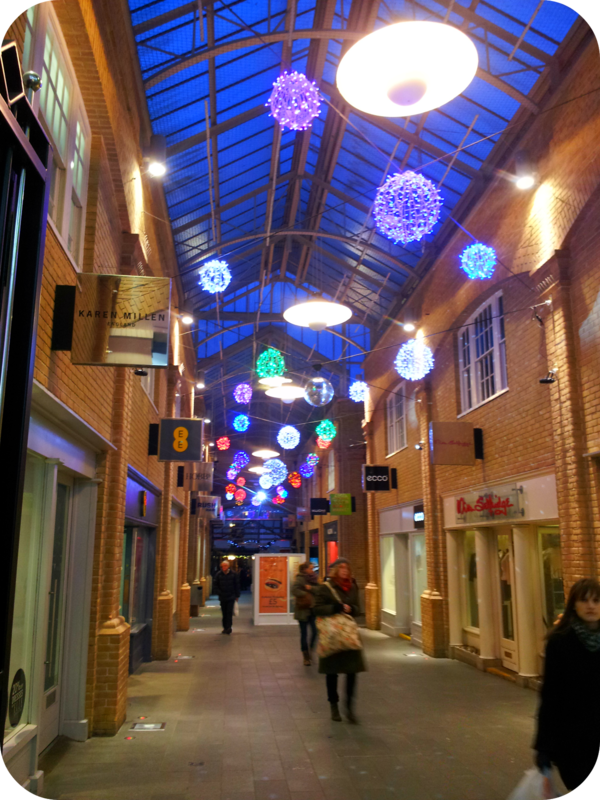 The darker afternoons mean you can't fail to spot towns and cities lit up and the giant Christmas trees which adorn every high street and shopping centre are bright and glowing. There are carol singers all over the place and our TV screens are full of those heartwarming adverts which remind us of family times and excited children. I have grown up with my own family traditions and we are making new ones for Dylan. This year he is excited every morning to open a new door on his advent calender and although he may be clueless as to what it symbolises, it won't be long until he is counting down the days in excited anticipation. This week I took the little dude to a lovely local church which hosted a Christmas tree competition. 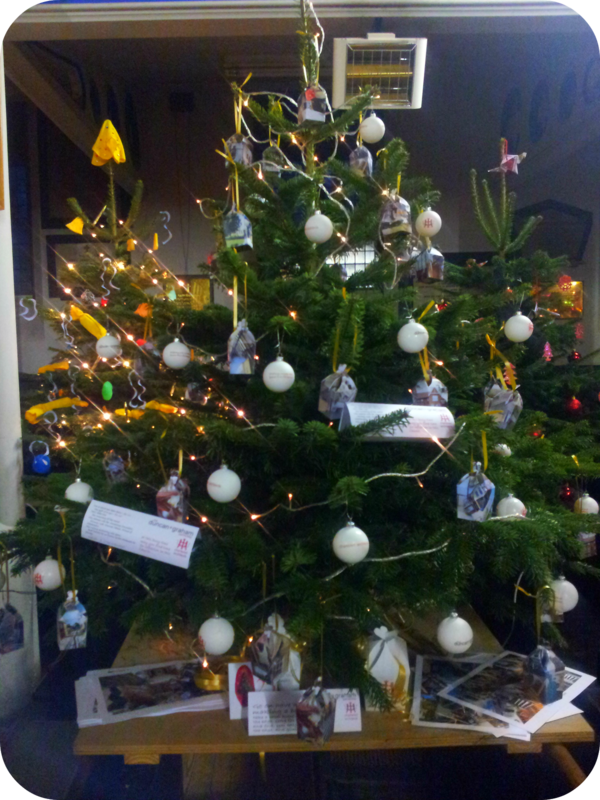 31 local organisations and groups each decorated their own tree, and the public are invited to come in and admire their work, vote for their favourite and leave a donation to charity whilst they are there. We loved the church cleaner's effort as they had handmade all of their decorations. The crackers were rolled up dusters and their shiny baubles were made from scouring pads. 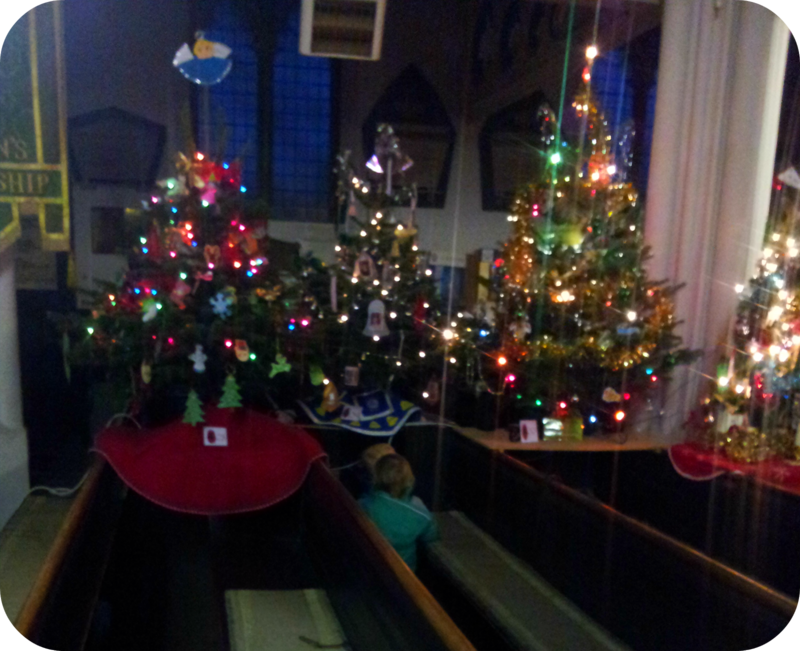 The guides and play groups had drawings and crafty bits on theirs and Dylan and his friends loved racing from tree to tree admiring the lights and colours with lots of ooohs and aaahs. 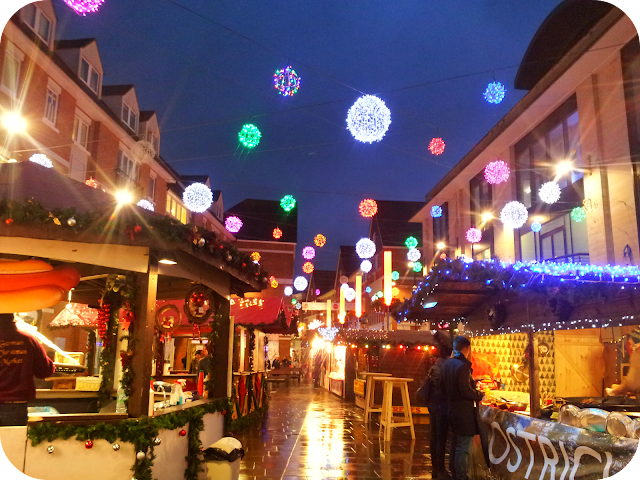 On Friday, I took Dylan to Canterbury and we waited until the sun went down before exploring the Christmas market. The smells and sounds were amazing but it was the lights that captivated us and we crouched down and pointed at the shapes and colours that lit up the sky. He got to practice his new favourite word 'circle' and we spent some time just watching the world go by. He may only be 16 months old but Christmas is already becoming a magical time of year for him, and with our tree going up this week, he will be able to enjoy the lights and colours from home as well. We are attending a Christmas party at the Children's Centre where he gets to meet Father Christmas again and we have the perfect family day planned for the 25th, where we already know he will be the centre of attention. I am looking forward to Christmas crafts and letters to Santa in the coming years but for now he are admiring the simple and free things that December has to offer. How are your little ones enjoying this magical month? I love Christmas and it seems Mads is taking after me. She is obsessed with all the lights everywhere, it is magical seeing their faces isn't it?